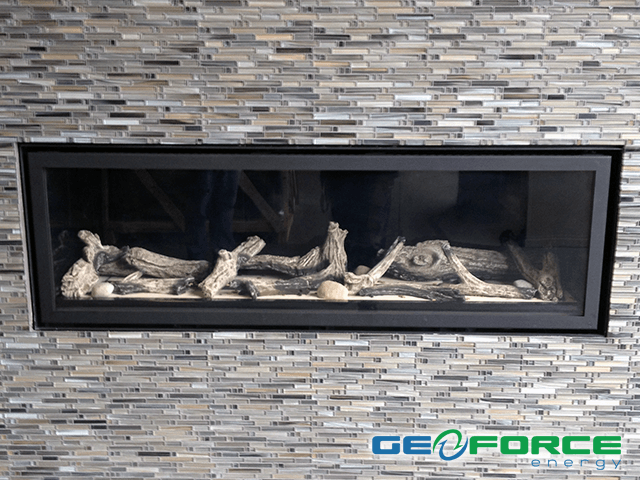 GeoForce Energy is a company that provides residential heating and air conditioning services to provide heat or add ambiance to your home using fireplaces and indoor stoves – a perfect compliment to any space. 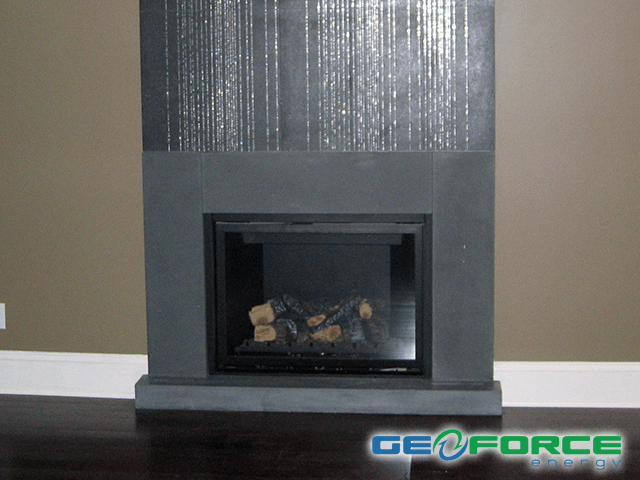 At GeoForce Energy, we offer consultation on what would best fit your room and compliment your home. Efficient furnaces, with both gas and oil options, keep your home warm without burning a hole in your wallet. 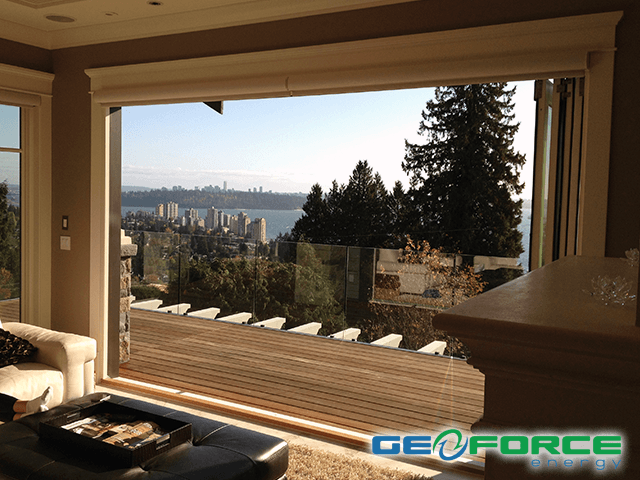 GeoForce Energy raises the standard for home comfort system design and installation, ensuring a healthier indoor environment at the lowest possible cost of operation. By improving your home’s energy efficiency, you can profit in 3 ways: save money, improve your life and help the earth – all while making your home safer and more comfortable for your family. GeoForce Energy offers a variety of air handlers. 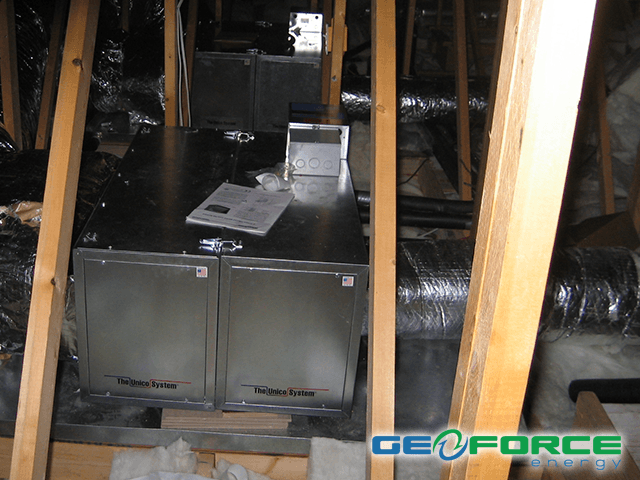 These machines will ensure your cooled or heated air gets into every corner of your house. Use it together with an air conditioner or heat pump to circulate cool air in the summer and warm air in the winter. An air handler—or air handling unit (AHU)—is a device used to condition and circulate air as part of a heating, ventilating and air-conditioning (HVAC) system. Usually a large metal box, it contains a blower, heating or cooling elements, filter racks or chambers, sound attenuators and dampers. Air handlers usually connect to a ductwork ventilation system that distributes the conditioned air through the building and returns it to the AHU. Sometimes AHUs discharge (supply) and admit (return) air directly to and from the space served without ductwork. Small air handlers, for local use, are called terminal units and may only include an air filter, coil, and blower; these simple terminal units are called blower coils or fan coil units. A larger air handler that conditions 100% outside air and no recirculated air is known as a makeup air unit (MAU). An air handler designed for outdoor use—typically on roofs—is known as a packaged unit (PU) or rooftop unit (RTU). An air source heat pump system will provide efficient heating and cooling for your home—one and a half to three times more heat energy than the electrical energy it consumes. Although useable in nearly all parts of the United States, air source heat pumps are best for warm climates. New systems with gas heating as backup are able to overcome this problem; a new Cold Climate Heat Pump and a Reverse Cycle Chiller also show promise for operating efficiently at below-freezing temperatures. A heat pump’s refrigeration system consists of compressor and two coils made of copper tuning—one indoors and one outside. These are surrounded by aluminium fins to aid heat transfer. In the heating mode liquid refrigerant extracts heat from the outside coils and air and moves it inside as it evaporates into a gas. The indoor coils transfer heat from the refrigerant as it condenses back into a liquid. A reversing valve near the compressor can change the direction of the refrigerant flow for cooling as well as for defrosting the outdoor coils in winter. In cooling mode, an air-source heat pump evaporates a refrigerant in the indoor coil; as the liquid evaporates it pulls heat from the air in the house. After the gas is compressed it passes into the outdoor coil and condenses releasing heat to the outside air. The pressure changes caused by the compressor and the expansion valve allow the gas to condense at a high temperature outside and evaporate at a lower temperature indoors. In heating mode, an air-source heat pump evaporates a refrigerant in the outdoor coil; as the liquid evaporates it pulls heat from the outside air. After the gas is compressed it passes into the indoor coil and condenses releasing heat to the inside of the house. The pressure changes caused by the compressor and the expansion valve allow the gas to evaporate at a low temperature outside and condense at a higher temperature indoors. Most central heat pumps are split-systems—they each have one coil indoors and one outdoors. Supply and return ducts connect to a central fan which is located indoors. GeoForce Energy provides residential heating and air conditioning services in Vancouver, West Vancouver, Squamish, Whistler, Tsawwessen, Burnaby, Richmond, Ladner, New Westminster, Surrey, Delta, White Rock, Cloverdale, Langley, Walnut Grove, Aldergrove, Port Moody, Port Coquitlam, Abbotsford and Metro Vancouver. Please call us today at 604.897.3411 for a quote or connect with us by filling out our short form here.